Samsung is eyeing the world of cryptocurrency it seems. 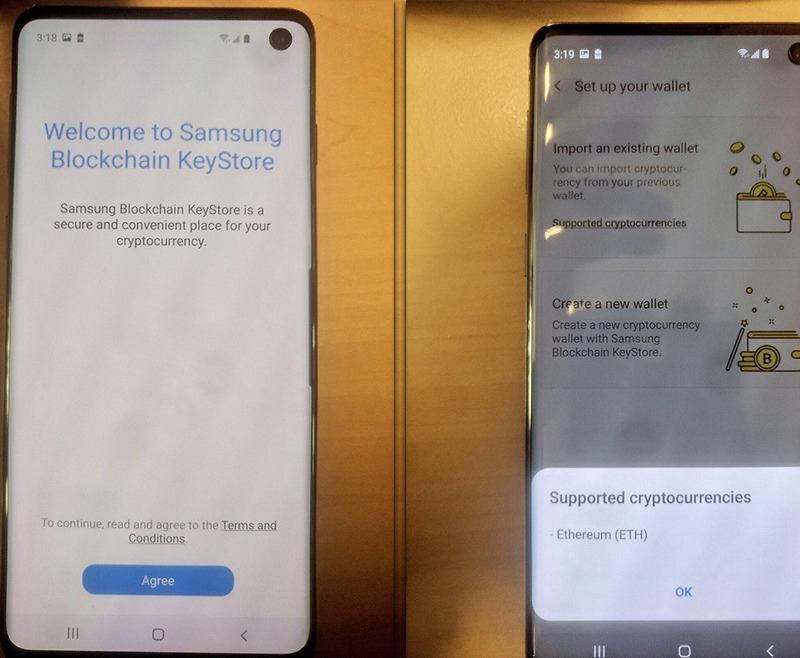 A leak surfaced today showing a Galaxy S10 with its big ol’ hole punch display and a “Welcome to Samsung Blockchain KeyStore” app open. What the hell, man. I’m more interested in the device leak, which is of the Galaxy S10. We get two new images of the phone showing off a top-right front camera hole in the screen that looks quite big. That camera hole has shifted status bar icons for your WiFi, cellular, and battery icons, causing me an ounce or two of anxiety. It even shifts everything when a screenshot is taken, unlike the notches of 2018. Overall, I think the hole punch is an improvement over the notch and I’m not trying to complain too much here, I just don’t know that it’s massive improvement. I’ll take it, though, as long as Google adopts and avoids making another Pixel 3 XL. As for the Samsung Blockchain KeyStore, I don’t have much of a reaction to it. The screenshots suggest that you’ll be able to “secure and manage your blockchain private keys” and is a “secure and convenient place for your cryptocurrency.” I know absolutely nothing about cryptocurrency, what blockchain is, and if this is good or not. I’ll leave that to cryptobros.